Who doesn't like a private party? 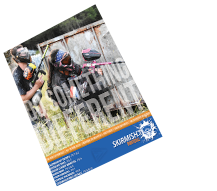 If you to want play Skirmish Paintball but don’t want to hang with people you don’t know, all you have to do is get a group of 20 paintball players together and book a day of private paintball play. When you play “privately” it’s just you, your friends and your Skirmish referee’s to guide you through the day. This allows you to play the games you want, on the paintball maps you want. To reserve private paintball play, you must make advance reservations and bring a group of 20 or more paintball players. 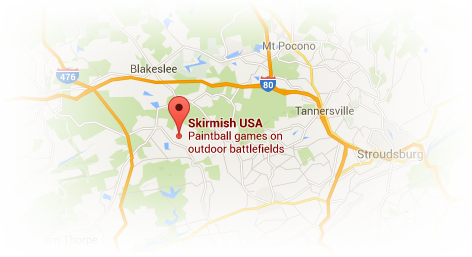 If you come alone or bring a group with less than 20, no problem, you can still play on our open play paintball maps. Your group can purchase the basic paintball package, deluxe paintball package or a combination of both – it’s your choice.